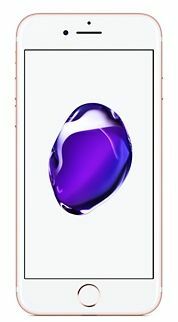 Packed with impressive features, the Apple iPhone 7 rose gold is a smart and innovate technological companion for you. Sporting a sleek and sturdy design, this phone is water and splash proof. It has a 4.7inch Retina HD display, which facilitates superior viewing and is brighter than its predecessors. With the A10 Fusion chip, the iPhone 7 128GB has immense processing power and lets you perform multiple tasks with ease and for longer hours. The battery is believed to last 2 hours longer than iPhone 6, which means more productivity on the go. Its 12 megapixel camera is equipped with optical image stabilization that lets you click steadier pictures without motion blur. It also supports RAW image format, rendering more control to the photographers while editing. With a storage space of 128GB, you can now store as much as you would like to and more. Browsing is faster as is downloading and uploading with a 4G network that the phone supports. Among other upgrades and features is the battery, which has a greater capacity than the previous models and boasts of 12 hours of LTE browsing on the go. 93.8% of users recommend this product to a friend.